Hello everyone! I’ve posted some meal recipes but haven’t really showed you what I snack on. I’ve been trying to focus on vegetables lately, as I realize how important they are to our overall health. I find that a lot of post-ops tolerate cucumbers well, so I tried it. As long as you completely peel them and get all of the skin off, you should be alright too! What fun are cucumbers by themselves though? I knew I had to up the ante. I had seen some Greek yogurt dip variations but I thought I’d concoct one myself. 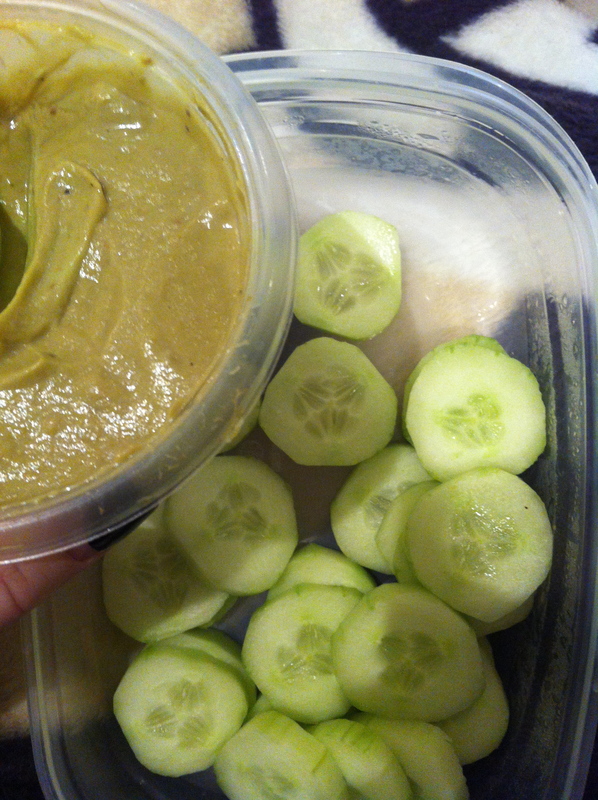 One of my favourite foods ever is avocados, so I wanted to include them in my dip. First, I peeled an entire avocado and put it into my food processor. I then put in a cup of non-fat strawberry Greek yogurt and a pinch of salt and pepper. I mixed it on low and ta da! It might sound a little weird, but it was actually very good! It lasts awhile too if you store it properly. You can try different variations. I did a spicy one with plain Greek yogurt, avocado and Mrs. Dash lime fiesta seasoning that was fun. I’m going to keep experimenting with Greek yogurt dips, especially because they provide some protein! What do you snack on throughout the day? Tags: avocado dip recipes, bariatric snacks, bariatric surgery, gastric bypass, greek yogurt dip recipes, high protein snacks, rny, snacks for post ops, weight loss surgery, weight loss surgery snacks, wls. Bookmark the permalink.